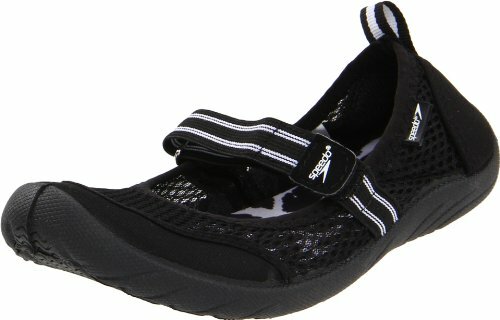 The Speedo® Beach Runner women’s water shoe features an adjustable D-ring closure for a perfect fit. Its TPR outsole provides durability and traction.If you’re into water sports, then you’ll live in the Beach Runner shoe from Speedo. This all-purpose water shoe dries faster than ever since its lightweight mesh upper breathes easy. You’ll get a custom fit with its hook-and-loop strap, and the tractioned outsole will give you grip on sand or slippery surfaces.